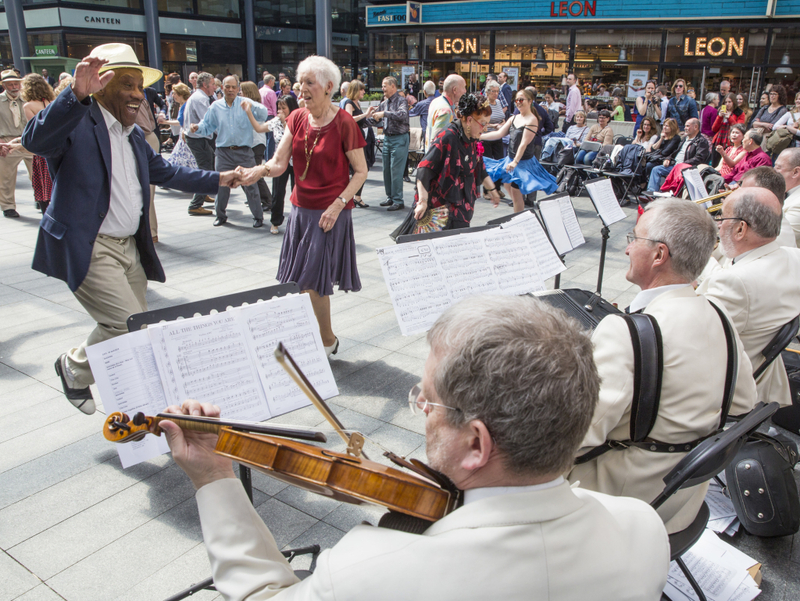 But what you may not know is that there is also a (smaller, but none the less mighty) wave of traditional (and a couple of less traditional) tea dances, humming along beneath the surface of London’s skin. 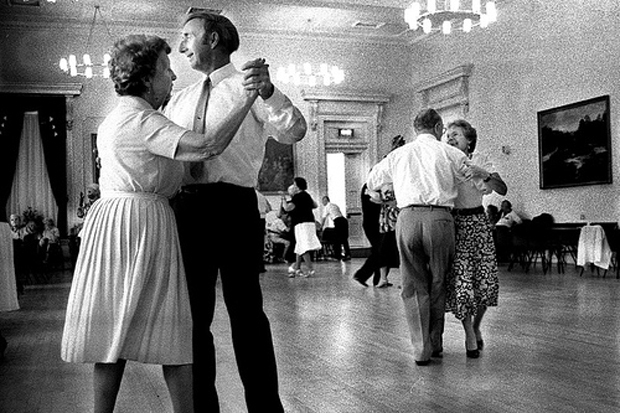 Tea dances have long been associated with an older generation and a time gone by, but if you’re anything like me then dancing along to a Gershwin record and enjoying piece of homemade Victoria sponge and a pot of strong English breakfast tea is just about the perfect way to spend an afternoon. So read on for my secret London Tea Dances and if you know of any others, please do let me know – especially if the cake is yummy. Cost: Free event and no need to book – just turn up. Come Dancing at the Spitalfields Tea Dances with music by the acclaimed New Covent Garden Dance Orchestra…Foxtrots, quicksteps, cha chas and many more… whether this will be your first experience or you are more expert at tripping the light fantastic, release those inhibitions and join in the fun! The Royal Opera House continues to celebrate the days when it was one of the most popular dance venues in London. 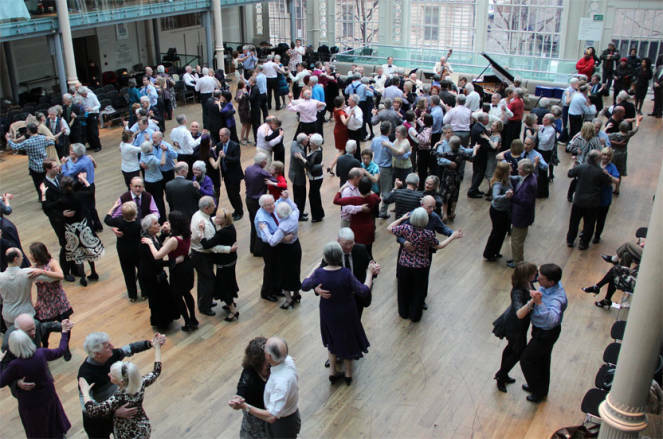 Their Tea Dances take place throughout the season in the Paul Hamlyn Hall and give you the opportunity to waltz, tango, cha cha cha and quickstep to the Royal Opera Dance Band. Complimentary tea, coffee and biscuits are served throughout the dance (one per person in exchange for ticket stub). There are 16 tickets set aside as ‘Day Tickets’ for every Tea Dance. These tickets can be booked in person from 10am (2 tickets per person only) on the day of the Tea Dance. Entelechy takes the conventional form of the tea dance and brings it screaming and kicking into the 21st century. Dance events mix live music with video, theatre, dance performance, story-telling, tea, cake, social dancing and singing. Over the past year Tea Dances have been nurturing new and distinctive performance through collaborations between their active elder members, isolated older people at nursing and day centres, and visiting artists. Recent partners include Upswing circus company, local indie band The Nearly Perfect and the unforgettable Ida Barr. 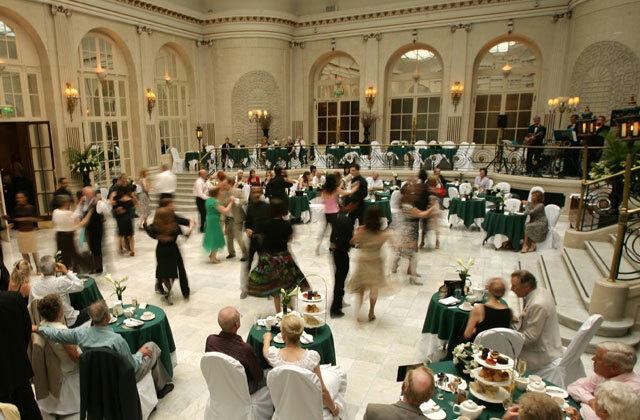 Join the folk at The Waldorf for their Afternoon Tea Dance at the iconic Palm Court, the unique and grand centrepiece room where people have socialised and danced since the hotel opened in 1908. The Waldorf Tea Dance offers contemporary afternoon tea with a variety of finger sandwiches, freshly baked scones with Devonshire clotted cream and strawberry jam, delicate homemade pastries and cakes, and a choice of teas and infusions. A live five-piece band will entertain you with traditional ballroom music, while you dance away your Sunday afternoon. It’s a truly authentic and timeless experience… a real treat. Cost: £5 – No need to book, just turn up. The beautiful 1930s Art Deco Borough Hall is the perfect setting for a vintage afternoon of Live music and social dancing. Styles will include Ballroom, Latin, Jive and Sequence dancing. A cup of tea and a slice of cake is included in the entry price and the bar will be open throughout. Everyone is welcome at these fun events, from complete beginners to the more advanced. Come on your own, with a partner, or bring a whole troop of family and friends… Tea and cake available. Monthly tea dances aimed at the older members of the local community but everyone is welcome. Expect 1930′s, 1940′s and 1950′s music from around the world, dancing, tea & lots of home made cake.